After returning from her mission in Madrid Spain, Sue's creative energies rebounded once again. 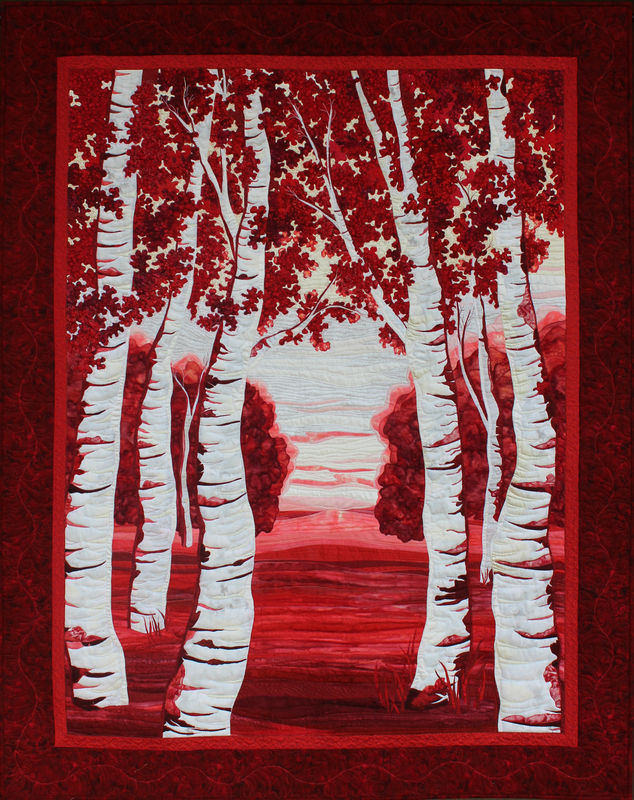 In response to the Utah Quilt Guild's Ruby Jubilee challenge to create works entirely in shades of red, she designed this stunning interpretation of a Utah grove of aspens. Although it will be displayed only briefly at the 2017 Quilt Fest in Layton, UT (September 19-23), expect to see it again in other shows. UPDATE 9/23/17: Sue's Aspen Red won Viewer's Choice at the Quilt Fest, AND a National Teacher's Award. Quite an honor to be recognized by her Utah and National peers.